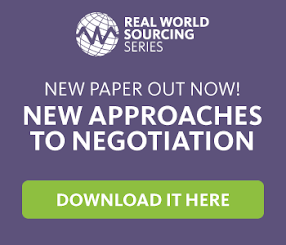 Strategic Sourcing: NHS – World Class or Merely the Best of a Bad Bunch? While my experience on aspects contributing to the outcomes of the NHS may be limited, my experience in procurement is not. Working for an organisation that has a heavy presence in providing technology used throughout NHS procurement departments, I have seen examples that lend themselves to both my two initial conclusions. Recently, my focus has been in the area of Spend Analysis and the concept of Benchmarking. Prior to a wonderfully exciting life in procurement, my assumption that the NHS would know what they spend their money on was a no-brainer. As many of you (who are far more enlightened than I used to be!) will know; this is not always the case. These are essential for effective Benchmarking, we have seen a sharp increase in NHS organisations jumping on board with Benchmarking. This uptake in best-in-class solutions lends itself to the fact that the NHS (or at least parts of it) is, in fact, not such an archaic system. The fact that I was drawn to two conclusions seems appropriate; the NHS may have its problems and rub a lot of people up the wrong way, but behind the scenes there are some world-leading practices being implemented.